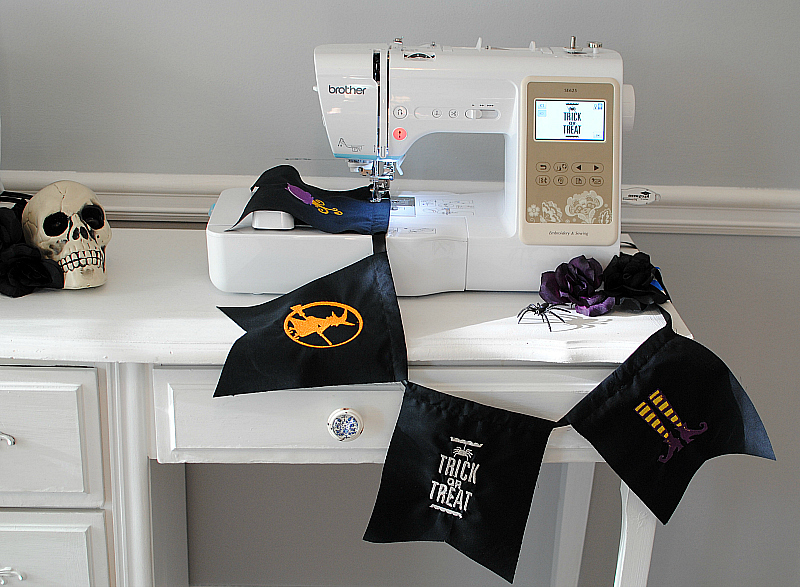 One of the things my kids love about fall is decorating for Halloween. They love to design their costumes to have me sew for the school parade. 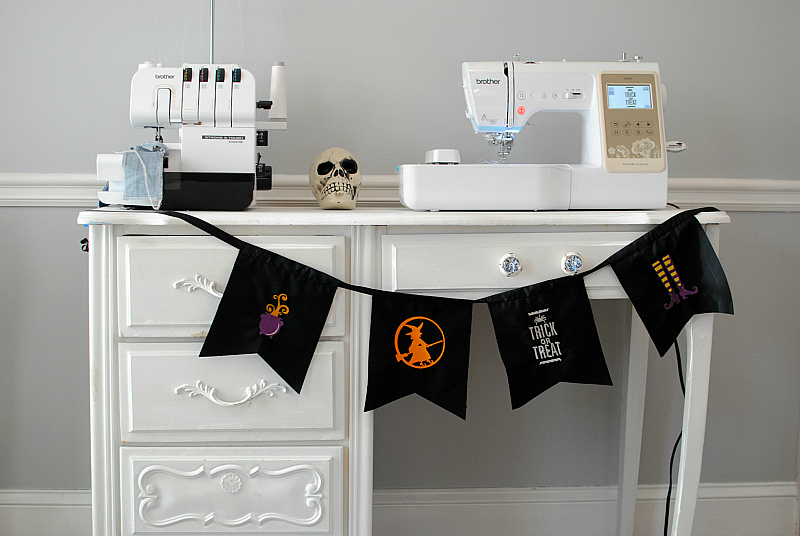 I wanted to incorporate some sewing into our new home's Halloween decor and these cute designs from OESD were just what I was looking for to create this simple bunting banner. 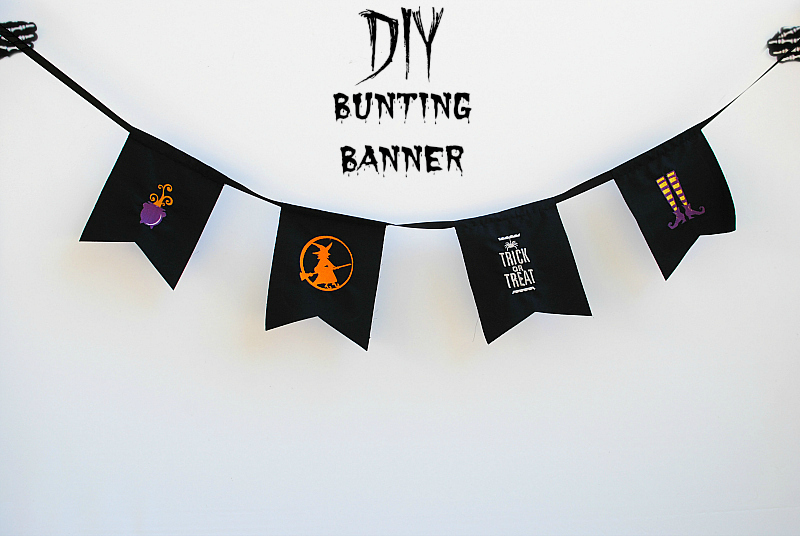 Create your own Halloween banner in no time with the steps below. Cut as many rectangles as you'd like. Mine measured 6x8 inches. 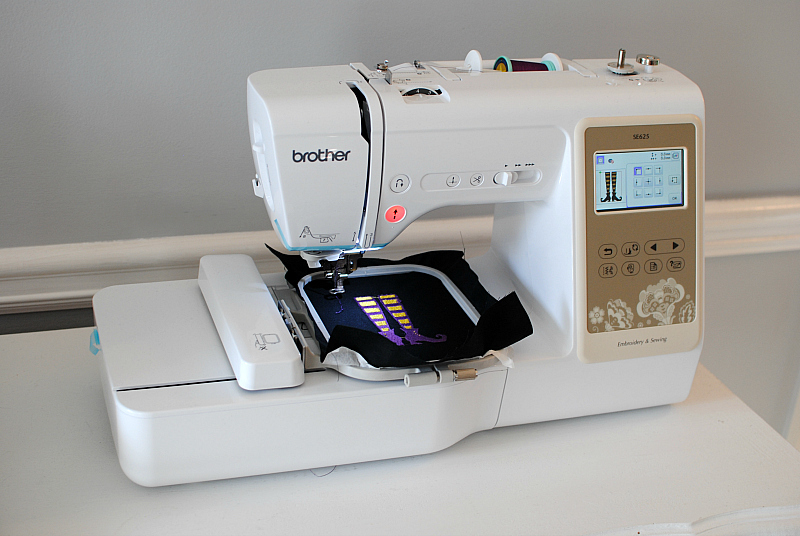 Embroider away using the Brother SE600 Sewing and Embroidery Machine. 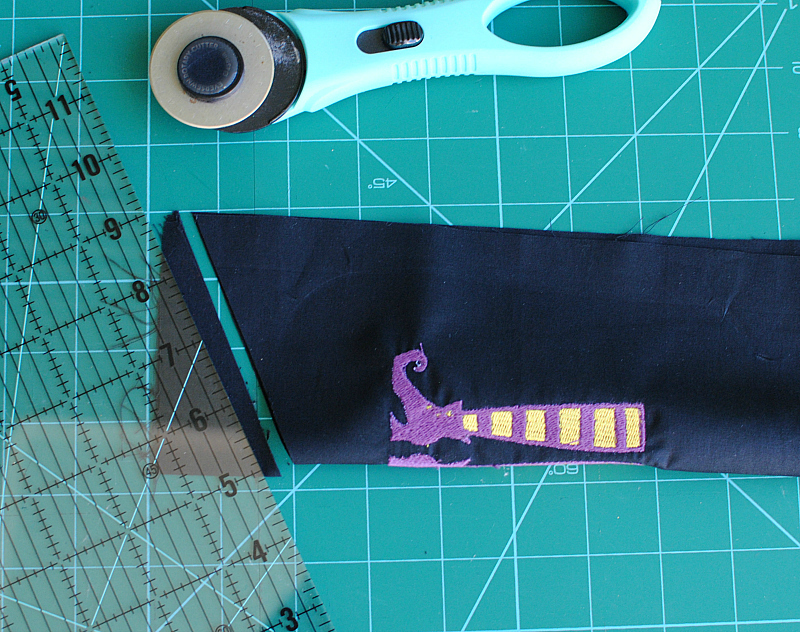 Fold the top edge over 1/2 an inch and top stitch along the raw edge to create a casing for your cording. 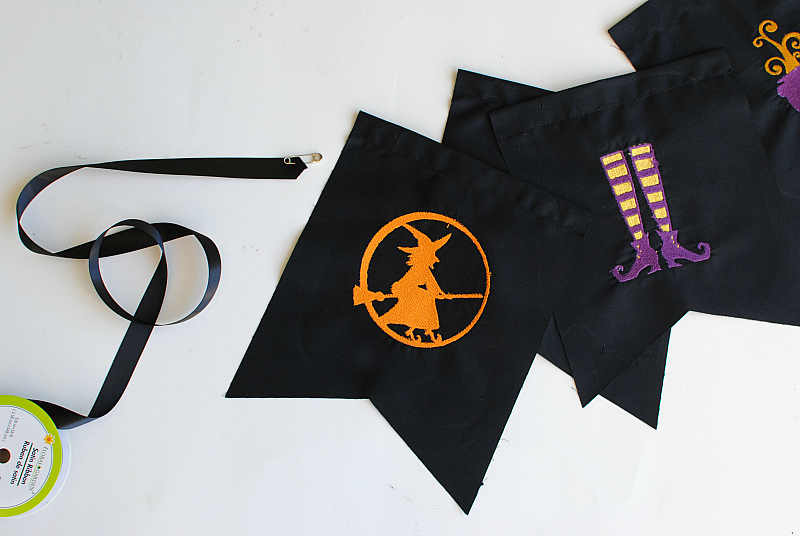 Fold each rectangle in half and use your rotary cutters to cut from midpoint to the outer edge. My midpoint went up about 1". 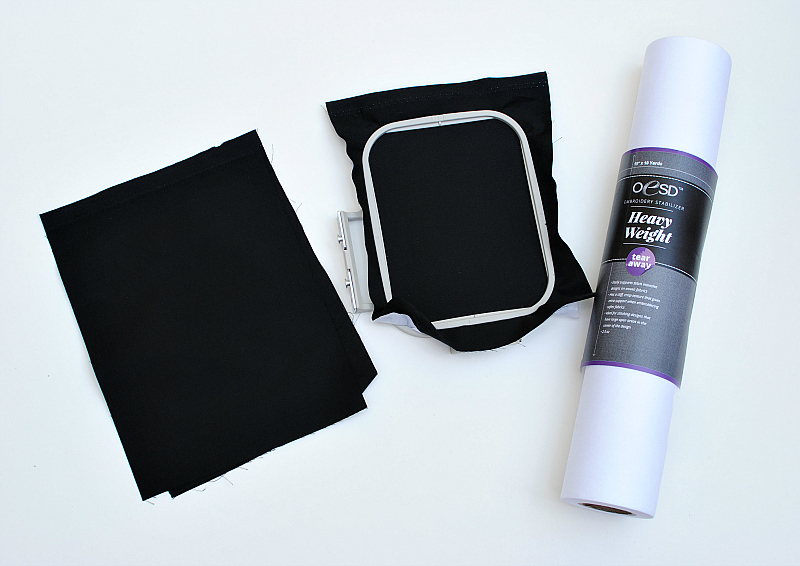 You can then hem the edges or choose to keep them raw like I did. 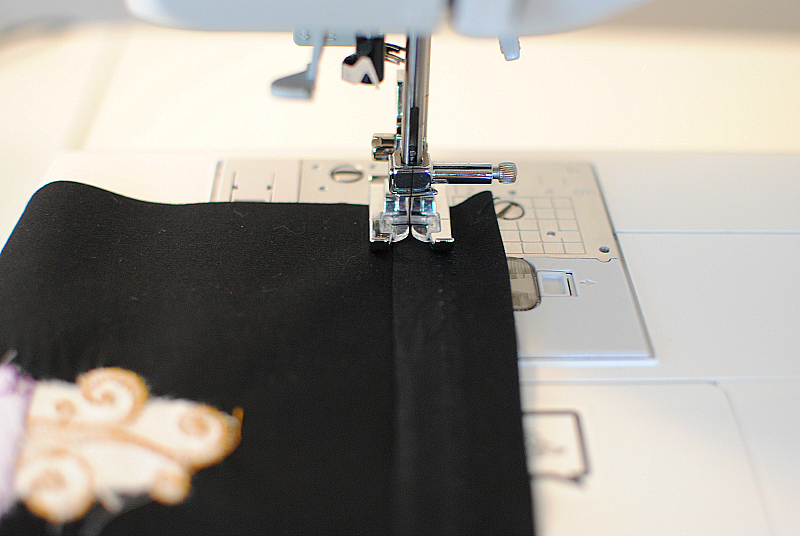 Use a safety pin attached to the end of your cording and weave through the casing of each piece. 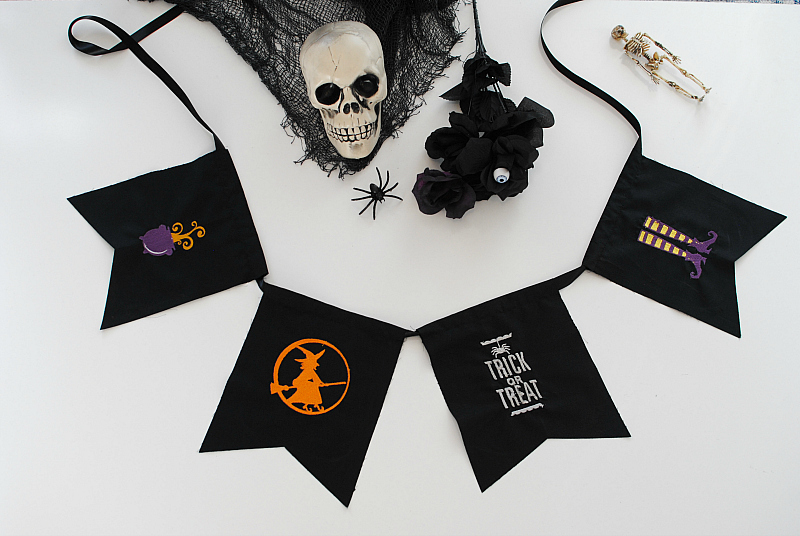 Very simple project to do and I love the vintage inspired look over the banter. I'm going to try the freestanding skeleton next. You are saying a surely true. I want to hear much more from you. The level of your thinking is great.The article is well written, it takes courage to do anything. Last year I wanted to make the best suit. But I needed to write analytical essay. I tried to find some advices to write it faster and I found info about analytical essay It helped me a lot! Every one wants to make their vocabulary so strong that anywhere when they get the chance to speak then their performance should be very impressive and efeective for this words unscramble word unscrfamble tool is the best and free tool to make your dreams come true.